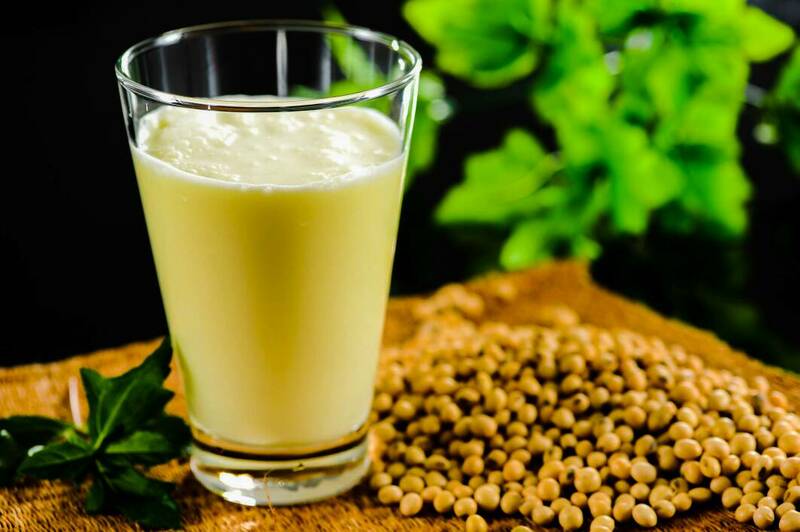 Soy milk or soymilk is a plant-based drink produced by soaking and grinding soybeans, boiling the mixture, and filtering out remaining particulates. It is a stable emulsion of oil, water, and protein. Its original form is a natural by-product of the manufacture of tofu, but was long unpopular because its oligosaccharides caused flatulence and discomfort in lactose-intolerant adults. It became a staple of East Asian cuisine over the last few centuries, after it was discovered that prolonged heating eliminated this effect. It has become more popular in Europe and North America over the last few decades, as production techniques were developed to give it a taste and consistency more closely resembling dairy milk. Along with similar vegetable-based "milks" like almond and rice milk, soy milk is now often used as a substitute for dairy milk by individuals who are vegan or lactose intolerant. 1. Strong Bones: Soy milk is rich of calcium so no one will doubt that it is good for your bones. Calcium in soy milk will assist in maintaining the bone health and at the same time contribute in making the bones structure stronger and prevent the fracture and maintain the joints as well. Include soy milk in your diet as a source of protein. Unlike most plant-based proteins -- which contain some, but not all, of the amino acids you need in your diet -- soy contains all nine essential amino acids. Your body assembles these amino acids into new proteins, including antibodies essential for immune system function, structural proteins that hold your tissues together, and enzymes that help your cells produce energy. Each cup of unsweetened, plain soy milk provides 7 grams of protein. As rich of iron and calcium surely soy milk could fight anemia effectively. The reason behind anemia is when your body didn’t get enough oxygen due to the amount of red blood cells in the body is not enough. Iron will make sure the production of red blood cells by improving the function of blood vessels so they will work optimally.